Cojali S.L. from Spain and Chereau from France have announced an agreement to work together. Their goal is to combine the competences and capabilities of Chereau and Cojali, in order to offer support to the new commercial vehicles of Chereau all over the world. Cojali, with its brand Jaltest, leader in multibrand and multisystem diagnostics, has developed a specific software for Chereau, who brings its position as market leader in the manufacturing of refrigerated bodies for commercial vehicles. This completely adapted Jaltest software will be presented in the next edition of the IAA trade fair of Hannover, from 20 to 27 September. 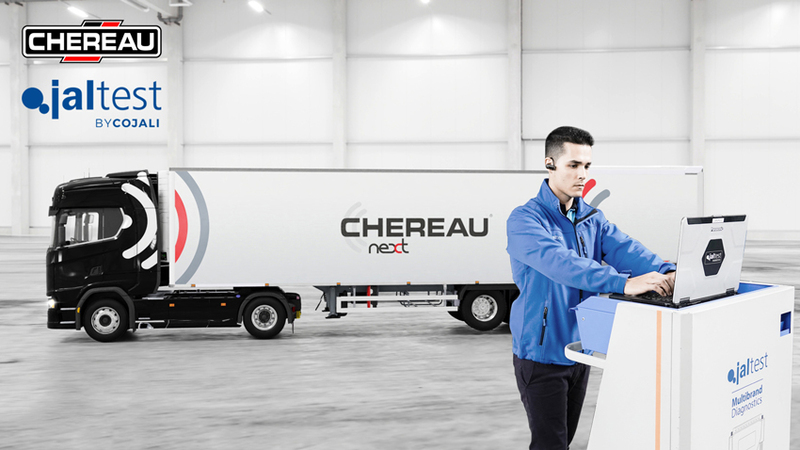 The exhibition will take place in the Hall 27, Stand E02 of the Chereau manufacturer, where a demonstration will be performed in a NEXT® trailer with our Jaltest diagnostics software. Cojali S.L. is a company with more than 500 employees all over the world, based in Campo de Criptana, Spain, and specialised in the manufacturing of cooling systems, air brake systems and electronic components. Its brand Jaltest, with which more than 25.000 clients work every day, is a leading brand in multibrand and multisystem diagnostics for commercial and agricultural vehicles, construction machinery and marine vessels. Through its Jaltest Telematics division, remote diagnostics and the telematic management of vehicles are combined, with the option of handling all the operations in the cloud. The company Chereau, based in France, is the first European manufacturer that is completely specialised, for over 65 years, in the design and manufacturing of refrigerated bodies for heavy goods vehicles. It is recognised by professionals as a whole for the great quality, durability and first-class services of its products. The company stands out for its permanent innovation policy, and customised vehicles at the service of the most demanding transport companies. You can find more information at http://www.chereau.com/.